The Herbalist has been offering quality essential oils for almost 27 years now, in fact, we were one of the first places to offer essential oils in Seattle! We are now deepening our commitment to the health of our bodies and our planet by offering essential oils from organically grown or wildcrafted sources only. We believe that plants that are organically grown or gathered from the wild yield stronger, cleaner, more therapeutic oils with an unsurpassed fragrance. We are excited to share these with you! All of The Herbalist's products are made with the highest quality organically grown and wild-harvested ingredients, and now our essential oils reflect this same standard of purity. Essential Oils - Why Organic? 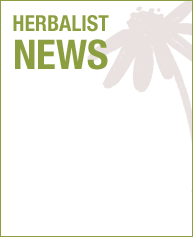 Plants develop essential oils as defensive compounds to protect themselves from insects. Therefore, hardier plants produce stronger essential oils as they respond to challenges in the environment. When agricultural chemicals such as insecticides and herbicides are applied to plants, the plants defensive systems are weakened. Subsequently, the essential oils produced from conventionally grown plants are less potent and therapeutic than those allowed to grow naturally in the wild or those grown using organic methods. Although the cost is slightly higher, you will find that using smaller amounts of organic oils will yield superior therapeutic results. Scientific studies have demonstrated that organically grown oils differ markedly in their chemical composition. The production of essential oils requires large amounts of plant material to produce a relatively small amount of essential oil, depending on the plant. The result is a highly concentrated product of the plants it was grown from. If the raw plant material are contaminated with agricultural chemicals, the essential oils produced from them are at risk of containing high levels of these chemicals. If essential oils are to be used therapeutically, they must be organically grown or wildcrafted. It takes 10,000 ounces of roses to produce one ounce of rose essential oil! Due to the large scale farming operations that are required to produce plants for essential oil distillation, our choice to buy organic or conventional essential oils has a big impact on the health of our soil, water, and the farm workers who tend the plants. Citronella Essential Oil 1/2 oz.